OCTOBER began with a continuation of the divisive alignment of a block of Federal Member States (FMSs) – Puntland, Galmudug & Southwest State – with Saudi Arabia, the UAE & others versus Qatar (and Turkey): this went against the Federal Government of Somali’s (FGS’s) neutral posture in the Gulf Crisis (which was read by many as being pro-Qatari, pro-Turkish). Unaligned but nonetheless opportunistic Puntland intervened and offered to convene an FMS conference, but without the FGS: the result was the formation of a council of FMSs to no obvious purpose. Turkey opened its military academy in Mogadishu and made a number of commitments to support Somalia bilaterally, including direct delivery of security in the capital. The President travelled to Sudan: amongst other things, Sudan offered to print the new Somali banknote. Discussion of the constitution continued to ‘circle the airport’, partly due to the now obligatory objections by the FMSs to anything that came out of the FGS. The civil service and the security forces revealed that they had not been paid since the new administration had taken power in FEB17 and the Chief of Police in Puntland tried to shoot a political rival but ended up hitting his own deputy. The Minister of Defence and the head of the Somali National Army resigned for reasons that were unclear. Then, on the afternoon of Saturday October 14th, the largest terrorist bomb ever detonated on the continent, causing the greatest slaughter of civilians in a terrorist incident in Africa went off. In the blurry aftermath of the incident, the international response was slow: but the usual capping of casualty figures was subverted by accurate reporting from a civil society ambulance agency, Aamin Ambulance, and it quickly became clear that the usual, magical figure of 20 dead had been surpassed (and, in fact, multiplied by a factor of at least 15 and possibly 20). The local media (news and social) made it clear this was not another ‘bomb goes off in Mogadishu’. The story grabbed headlines around the world, although the sanctimonious chose to ignore this and bemoaned the differentiation between first and third worlds in terms of the value of human life. 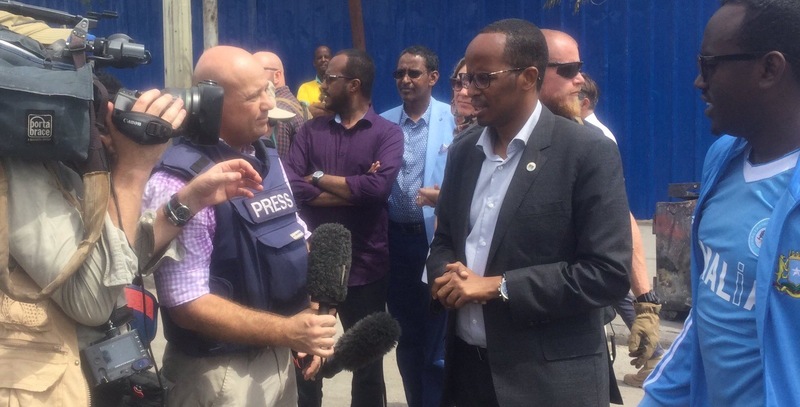 Aamin Ambulance, Turkey, The Guardian newspaper & BBC News, the British-Somali novelist, Nadifa Mohamed, and the Mayor of Mogadishu were overt in their support and received plaudits. Others were more demure but the effort was nonetheless significant. Robowe, the controversial founder member of aS turned not-aS-member-but-not-FGS-supporter-either, condemned the attack with vigour. The story began to twist and turn. aS declined to claim responsibility for the attack and the gullible speculated about who had planned the attack (ISIS/Da’esh faction or maybe Qatar – whose embassy was damaged in the attack- or perhaps AMISOM and so on), despite the device coming from an aS-controlled area and another element of the attack team being captured and confessing all. 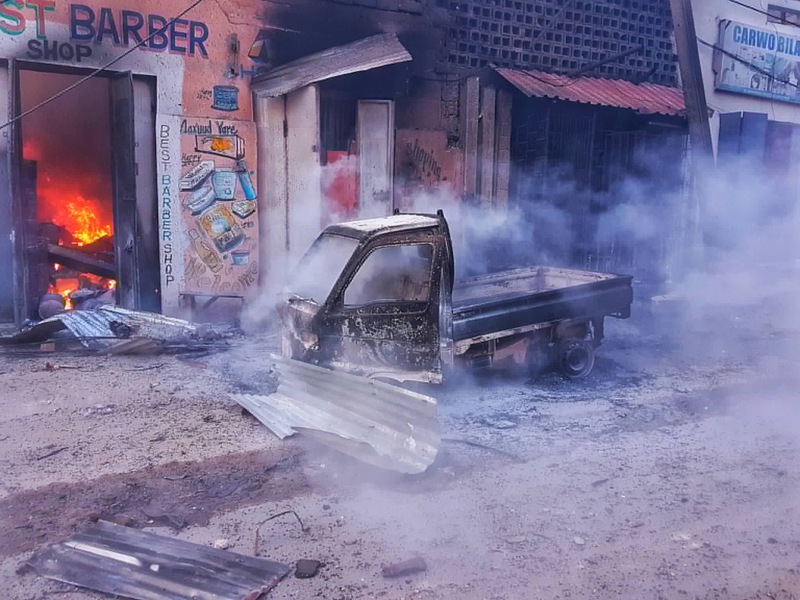 But massive anti-aS fervour gripped Mogadishu and the rest of the country, the red head band becoming a symbol of the rejection of aS and its un-Somali values. The President declared war on aS (again) and then left for a tour of East African capitals (minus election-plagued Kenya), with the aim of engendering fighting spirit amongst the AMISOM contributing countries: the Prime Minister left for Turkey and visited the injured who were being treated in Turkish hospitals. But at the same time, former PM Sharmarke and a former President conducted a spoiler visit to UAE, a hint of a return to ‘business as usual’. As the month ended, the Director General of the National Intelligence & Security Agency (DG NISA) blasted the international community for their lack of tangible support to the Somali security forces in an Op-Ed on the front page of the New York Times, keeping Somali at the top of the news agenda. aS attacked the Nas Hablood 2 Hotel in a text-book complex attack that shifted the conversation once again. This time the government and the security forces were the subject of popular ire and DG NISA and the Commissioner of the Somali Police Force joined the former Minister of Defence and the head of the SNA down at the Job Centre. 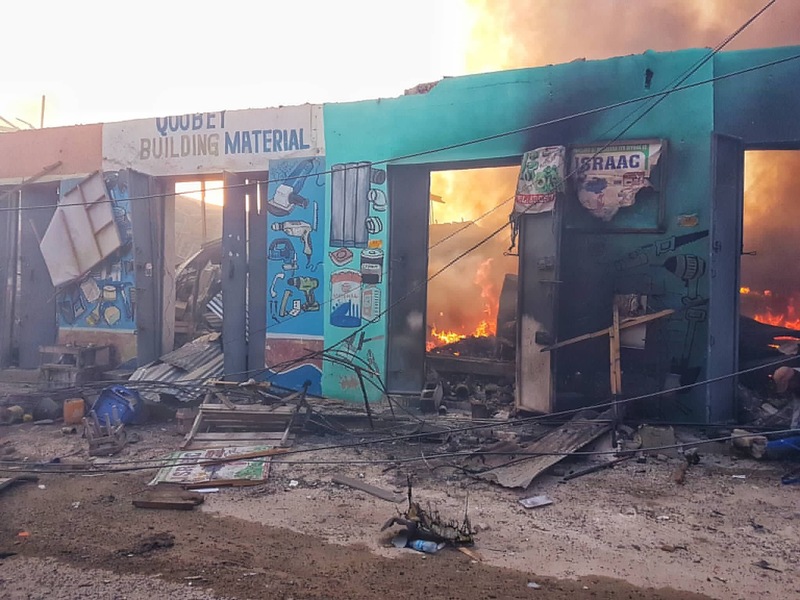 For a moment in mid-October it seemed like Somalia had reached a semi-mythical ‘turning point’, much like the attack on a group of graduating medical students in the Shamo Hotel in DEC09 (which was instrumental in Robowe’s split with aS). Depressingly, by the end of October, it seemed like Somalia was already back to ‘business as usual’.